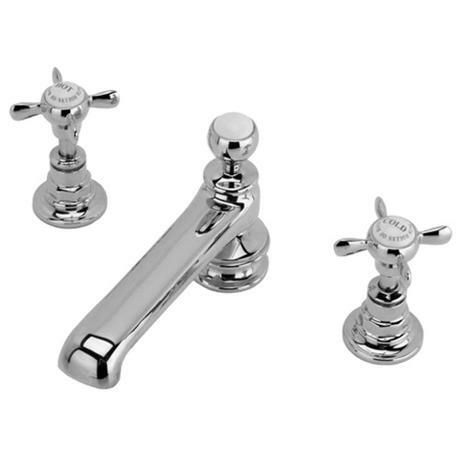 These basin taps are made from solid brass and are fitted with ceramic disc valves. Each handle features the white ceramic chip with the "HOLLYS OF BATH" logo. Handcrafted from solid brass, this tapfaithfully recreates the unique Victorian styling of over 100 years ago. Theengineering is reassuringly solid and the look traditionally elegant.